A groundbreaking health care clinic in Grand Rapids expects to save millions of dollars a year by targeting a chronic cause of high medical costs: patients for whom the emergency room is a virtual revolving door. Based on early results, the director of the Spectrum Health System clinic projects savings of $12 million to $15 million in annual Medicaid and Medicare costs by reducing emergency room visits among a group of "high frequency" users. "Ultimately this will save money for the taxpayers long-term," asserts Dr. Corey Waller, who designed and directs the clinic that aims to develop comprehensive treatment and support for each of these patients. Waller pegged the potential savings of a statewide system at near $300 million. Opened in December, the clinic grew from a study of emergency room use at two Grand Rapids hospitals. It found that 950 patients visited the emergency rooms at Butterworth and Blodgett hospitals more than 10 times a year, accounting for 20,000 visits and racking up annual costs of up to $50 million. The clinic seeks to identify the constellation of factors driving each of these patients to the emergency room, whether they are physical, social, emotional, a product of mental illness or any combination of those. In many cases, Waller believes, no one in the health-care system has taken the time sort them all out. "There is no social safety net. It's a farce. Everybody thinks that somebody else will do it," Waller said. Grand Rapids resident Emily Boss, 34, had become a familiar sight at the emergency room with issues related to her withdrawal from methadone, an opiate substitute, and her prescription to an anxiety medication. She broke her jaw last year, when she passed out from withdrawal symptoms. It was one of some 10 emergency room visits she logged last year. But Boss hasn't been there since December, stopping instead into the clinic, called the Center for Integrative Medicine. Most often, she sits down with social worker Shelly Virva to discuss anything and everything in her life. "It really helps me to stop in there. She has been an amazing influence," Boss said. Steve Fitton, Michigan's state Medicaid director, believes Spectrum's approach has potential to change the standard of care for these kinds of patients: "Historically I don't think the system has attacked this all that well. This seems like a very promising approach. We will be watching closely." Waller estimates savings of $300 million if this approach were implemented across Michigan. While Fitton isn't sure of that, he believes it is a model that could be duplicated elsewhere -- if it proves out. There is plenty of potential for savings, since Michigan spends some $12 billion a year on Medicaid alone. "It is something that is replicable," Fitton said. Most of the high-use patients are low-income and enrolled in Medicaid or Medicare, Waller said, many between the ages of 25 and 40. Many have been diagnosed with a variety of mental health problems. "They are people who have generally stable health with unstable social situations with generally undifferentiated mental health problems. Typically it's a lot of anxiety about the problem they have: chest pain, dizziness. They haven't been given a very good education about their disease. "They (obsess) on that and every time they have a headache they end up in the emergency room." Waller said the clinic has reinforced to him that factors influencing mental and physical health extend far beyond what shows up in an exam room. "The more we look at these patients, the more I realized that medicine has to encompass everything. Do they have heat? Do they have enough money for food? Do they have transportation? Without these basic factors nothing I do as a doctor is going to make a difference." Each patient is assessed at an initial, intensive, three-to four-hour visit to the clinic that includes interviews with a licensed medical social worker and other health care providers. After that, patients are encouraged to make regular follow-up appointments to the clinic. Thus far, more than 90 percent are showing up. "It takes time and it takes honesty and a lot of times that is something that is not given by the medical establishment," Waller said. Kent County resident Heather Mosher, 38, lost track of how many times she's been to the emergency room in recent years. She puts it at over 100. "It's too many to count," Mosher said, who receives both Medicaid and Medicare disability coverage. Mosher said she has been treated for fibromyalgia, a pain disorder, osteoarthritis, migraine headaches, chronic sinus infections, allergies and other disorders. She also has been diagnosed with depression, major depressive disorder, bipolar depression, post traumatic stress disorder and attention deficit disorder. She was taking as many as 50 pills a day, she said. After her initial visit with the clinic and extensive discussions with Waller, that figure was cut to 10. Mosher, who visits the clinic weekly, realizes she has options other than the emergency room thanks to the trust she has invested in Waller and others at the clinic. "I've struggled to find a doctor that would listen and get to know me," she said. This is a good program. 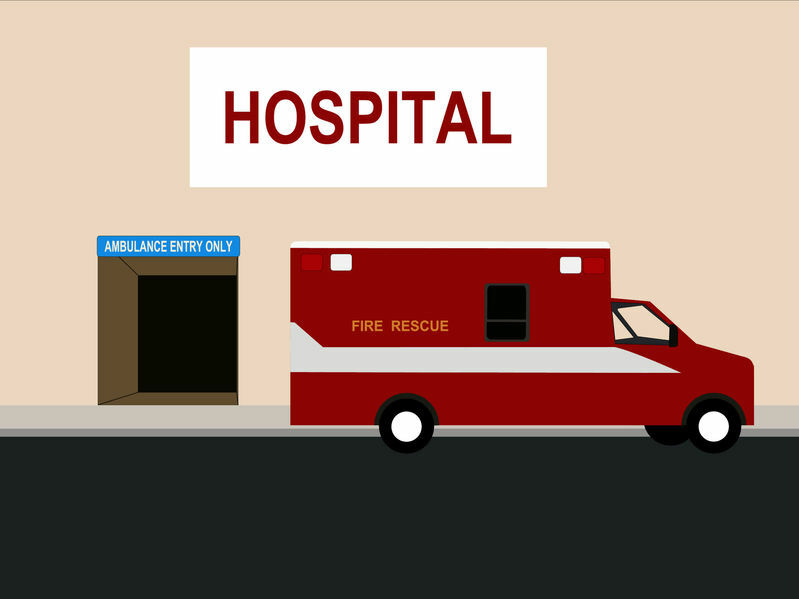 ER's and urgent care centers are full of people who have no where else to turn. The problem is multifactoral. Some of it is our fear that we have something serious when good sense tells us it is not. Some of it is just convienence care, I have time to go now, too busy to see my doctor during normal hours. Too many doctor's offices can't accomodate same day appointments, and instead of just counseling the patient their problem is not serious, they just tell them to go in, because they did not take the time to even ask or just to cover themselves from liability. A big part of it is Medicaid, it pays doctors so poorly (less than the cost to deliver care) that most doctors take little to no Medicaid patients. This leaves them to turn to ER's and urgent care centers for care. A big proportion of those patients who are eligible for Spectrum's Integrative Medicine Center are Medicaid patients. Bluntly, we can't afford this any longer. While this program does not address all the problems I have mentioned, or the numerous ones I did not, it is a step in the right direction. I would like to congratulatye Spectrum Health on realizing the cost savings from looking at the "high ER user" population and channeling them to other clinical care options to reduce costs. This is hardly a new notion though. Other groups and hospitals have done this for a long time. St. Mary's of Michigan has had several free clinics throughout Saginaw for years that capture the population that uses the ER for primary care. Patients are first seen by trained "Healthy Futures" neighborhood guides whom they feel more comfortable with to begin their journey into the health care system. Initial intake is completed such as address and contact information. The patients see a nurse practitioner for the medial intake and are ultimately seen by volunteer doctors for an exam. Once their initial condition is stabilized and they have received proper meds, they are referred to the Federally Qualified Health Center to be assigned to a medical home and a practitioner for regular ongoing care. This reduces the number of ER visits and patients can always come back to the free clinic if they want to check in for anything or talk to a "guide" since most live in the same neighborhood where the clinic is located. I remember reading about hospital clinics a year or two ago. Have not all the big city hospitals established these clinics next to ER? Do you mean Grand Rapids hospitals are the only ones in the state that have the clinics? This is a fabulous program, quite innovative and worthy of further research and duplication. The concept is similar to what a true; "medical home" should look like, which will treat people with a person centered approach. Provided the Affordable Care Act becomes a reality, Medicaid will open up for persons at 167% of the poverty level. This will mean that many people will have access to medical care that, if they are not dealt with a medical home approach, they could easily overwhelm emergency rooms. Proper assessment and referral services will help to make sure that people are assessed accurately and referred to appropriate levels of care.